CCCGUEST is a secured network connection that is available to employees utilizing Calhoun provided mobile devices. This network allows you to utilize services such as AirServer for device mirroring to teacher stations as well as Doceri and other in-class services and integrations. This network is also available for instructors to use one personal iOS device in the classroom. If you are provided with a Calhoun iPad, it will be preconfigured with the ability to connect to the CCCGUEST network and should connect whenever the network is available. 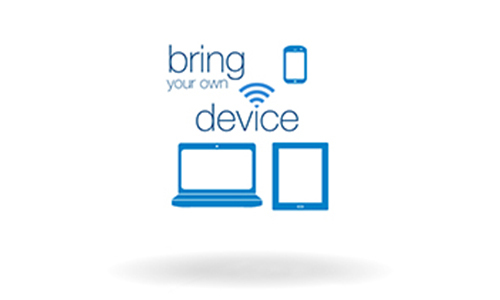 As an instructor with no provided device from the college, you may use 1 personal iOS device in the classroom. Once authenticated, the device will connect to the CCCGUEST whenever the network is available. At that time you will have access to use AirServer, Doceri, and other in-class services and integrations. Download Airwatch Agent from the App Store. Log in with your C number as your username and your password will be the same as your password for Calhoun’s Portal. Select Next. Select Redirect & Enable. You will be redirected to the iPad Settings. A pop-up will appear prompting you to “Install Profile.” Select Install Now. A warning will appear informing you that by installing Airwatch the local Airwatch administrator will be able to remotely manage your iPad. If you agree, select Install. The profile has been installed. Select Done. You will be taken back to the Airwatch Agent. A pop-up will appear prompting you to give permission for your iPad to now download FirstClass from the App Store. Select Install. Select Wi-Fi form the left column. Wait until you see cccguest appear under “Choose a Network.” Then, select cccguest. 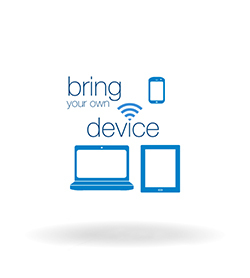 Once on the network, you will be able to mirror your iPad using AirWatch and the AirServer Connect app. Check to see if you are connected to CCCGUEST. You will not be able to use Airwatch on any other network. Download AirServer Connect from the App Store. Now on the PC that you want to mirror the IPad to, in the bottom right corner of the Task Bar, click the UP arrow. Then at the bottom of your IPad screen pull the tab up. Select “AirPlay”, then select the name of the computer that you are wanting to mirror to. Make sure “Mirroring” is turned ON. Your IPad should now be mirroring to your PC. Download Doceri Interactive Whiteboard from the App Store. Select OK to allow Doceri access to your microphone. The Doceri home screen will appear. Select through a computer. A pop-up will appear asking you if Doceri has been installed on your computer. It has. Close this window. A small box will appear displaying your camera’s view. Hold your iPad up where it can see the QR code displayed on the desktop. A Window will appear prompting you to login. The Username will automatically populate for each classroom. The password is cccfac. Your iPad should now be mirroring your desktop. You can use Doceri as a virtual whiteboard. AirServer and Doceri may not be installed in every classroom. If you wish to use these applications and they are not installed, please submit a request to the IT Helpdesk at 256-306-2700 or helpdesk@calhoun.edu.